Video: Is Woodchuck Drowning in a Sea of Cider? That’s a lot of cider under the bridge. 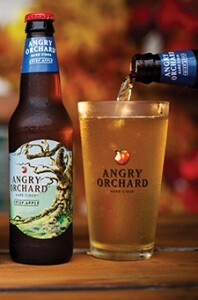 Angry Orchard — which is produced and marketed by the country’s largest craft brewery, Boston Beer — is now the category leader and is nearly five times the size of Woodchuck, its next closest competitor. During the 52-week period ending Oct. 5, Angry Orchard dollar sales are up more than 125 percent, to $192 million, according to Chicago-based market research firm IRI. During that same 52-week period, cider’s total dollar sales are up 80 percent, according to the firm, meaning that Angry Orchard’s growth is equivalent to the category’s entire growth. Astute readers know that’s not the whole picture, of course. There are plenty of smaller brands posting impressive gains of their own. Take Virginia’s Bold Rock Hard Cider, for instance, which is up an astonishing 141 percent, or California’s Ace Cider, which is up 28 percent, according to IRI. 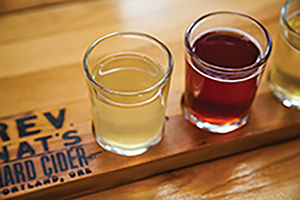 And there are smaller brands still, like Reverend Nat’s Hard Cider from Portland, Oregon or Boston’s Downeast Cider House, both of which are experimenting with innovative flavor varieties and creating an enormous amount of category excitement. And while their actual impact on category-wide volumes might barely fill one of Angry’s fermentation tanks, the fact remains — growth in the cider category is alive and well. Consumers are interested and startups are benefiting from the positive traction. But somehow, amidst all of the growth and excitement, the category’s second-largest producer, Woodchuck, is suffering. Sales are in a downward spiral at a time when it just pumped $34 million into a new production facility and tasting room in the hopes of growing with the category. In the six-month period ending Aug. 31, C&C Group’s U.S. volumes fell 21 percent. 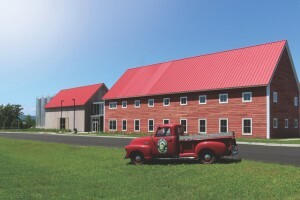 Operating profit is down almost 90 percent and production of Woodchuck declined 29 percent. Last April, when BevNET interviewed then-CEO Bret Williams, Woodchuck had just been purchased by Irish cider company C&C Group for $305 million. At the time, sales were climbing, up 24 percent. Williams has since stepped aside, leaving current CEO Dan Rowell to pick up the pieces. Like any good executive, Rowell is optimistic about the company’s future growth opportunities. “We have taken some punches, but we are standing back up and coming back swinging,” Rowell told BevNET during an interview at the company’s lavish new cidery, earlier this year. Rowell blames Woodchuck’s poor performance on the intense pressure from competitors like Anheuser-Busch, which introduced Johnny Appleseed cider in March; MillerCoors, which also launched Smith & Forge Hard Cider in March and, of course, Boston Beer, which last April steamrolled into the category, unleashing an established distribution network eager get in on the cider game. So how does Woodchuck plan on fighting its way out of the corner? The company is leaning in on innovation, introducing new products like Hopsation, a hopped cider that hopes to capitalize on the growth of craft beer’s darling style, the India Pale Ale. “We have been around for 23 years, so we have to reinvent ourselves,” Rowell said, adding that in 2014, the company has made a concerted effort to go up-market. Enter John Matson, the 39-year-old brewer-turned-cider master tasked with tackling Woodchuck’s innovation projects head-on. He’s experimenting with hops, playing around with ginger, and even testing out barrel-aged and sour product offerings. 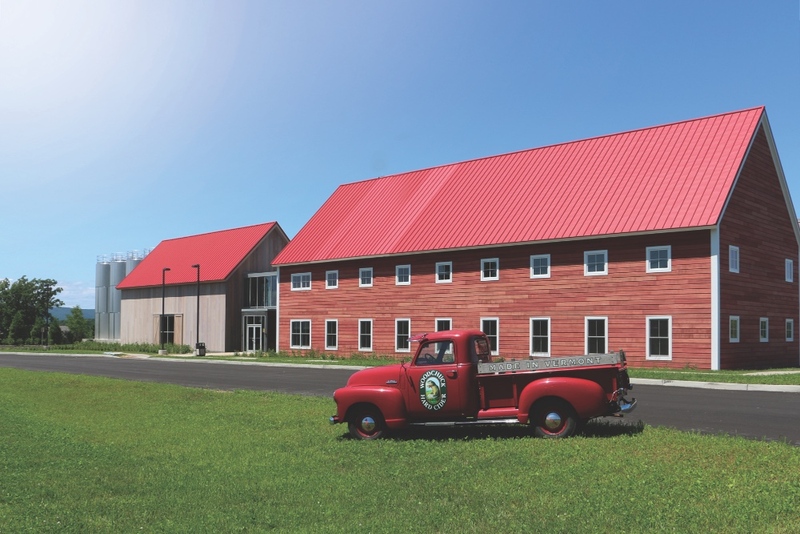 Matson, who spent time at breweries in Pennsylvania, Oregon, Rhode Island and, most recently, at Otter Creek in Vermont, said he plans to keep his attention squarely focused on product development. But the extent to which Woodchuck — and others — are able to innovate will likely be determined by those in Washington D.C. Currently, federal law requires that to be taxed as a “hard cider,” a product must be made primarily of apples (or apple concentrate), and must contain no other fruit flavorings. Additionally, hard cider cannot exceed 7 percent alcohol-by-volume or have carbonation levels greater than 0.392 grams per 100 milliliters and still qualify for the hard cider tax rate. When carbonation in the beverage reaches higher levels, a luxury tax is enforced, making it more difficult for cider makers to turn a profit. 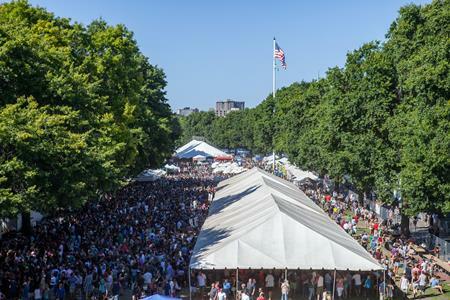 “It closes down innovation on what people can do with their products,” said Michael Beck, the president of the U.S. Association of Cider Makers (USACM). To that end, the USACM and cider producers are currently lobbying behind the CIDER Act (H.R. 2921, S. 1531), which would expand the hard cider tax class in a few ways: First, it would add pear juice and pear juice concentrate as fruits for authorized use, raise the carbonation limit and bump up the ABV ceiling to 8.5 percent. Nonetheless, the volumes are growing and new players are entering the space. That has many in the category bullish on the growth opportunities in the next five years. Woodchuck’s VP Terry Hopper agrees. He said he pegs current category-wide volumes at about 24 million cases — or about 1 percent of the overall beer business. Hopper’s goal? Grow those volumes five times. Editor’s Note: This article appeared in the Nov. 26 issue of BevNET Magazine.